A creative and gifted man, Roberto Chenlo was humble, hardworking, and gracious. Deeply loved, he leaves behind a brilliantly colored mosaic of memories that his loved ones will forever cherish. There was great unrest in Argentina during the 1930s, and the effects of the Great Depression throughout the entire decade were felt nearly everywhere including Argentina. 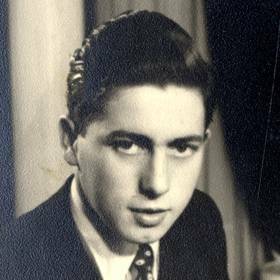 Despite the trials around them, R. Roberto and Carmen (Vouilloz) Chenlo were filled with great joy as they welcomed the baby boy they named Roberto into their hearts and home on December 18, 1936, in Tandil, Buenos Aires, Argentina. 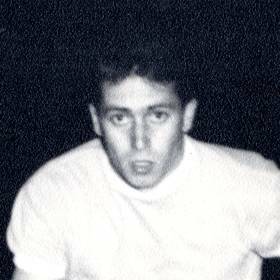 While growing up he excelled in sports, and he frequently competed in long distance speed skating at both the local and national levels. Roberto also played goalie on a hockey team. New and exciting changes were in store for Roberto when he met the love of his life. Her name was Mirta Dell’Arciprete, and they courted and later began dating. With a desire to build a life together, Roberto and Mirta were married on July 4, 1964. While living in Argentina, the couple was blessed with the births of their first two sons, Fabian and Steve. The family of four moved to the United States in 1968, and there the Chenlo family was completed with the births of Chris and Colleen. Creative and resourceful by nature, Roberto made a career in art. He was a lifelong artist and sculptor who created a variety of pieces. Roberto created fun ice sculptures for many Grand Rapids winter festivals, and many of his pieces drew quite a crowd. Those within the community often remembered and commented, “I remember the Disney Pluto Sculpture with the slide.” His monumental work, “Spirit of Solidarity,” stands just a few yards from the Gerald R. Ford Presidential Museum. Roberto’s stone carving ability led Roberto to open Mantels & More, a fireplace surround/ granite counter top shop. With the help of his daughter, Colleen, their work is in many Michigan homes today, and he also worked with school children as Artist in Residence. With unending devotion to his family, Roberto Chenlo lived a life of purpose filled with the people and things he loved. He leaves behind a timeless legacy that his loved ones will carry on in his footsteps. 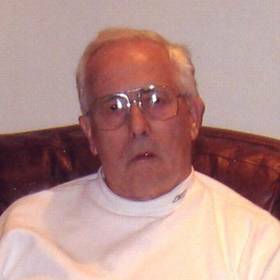 Loving husband, father, and grandpa, age 79, of Grand Rapids passed away May 20, 2016 at his home under the loving care of his family. 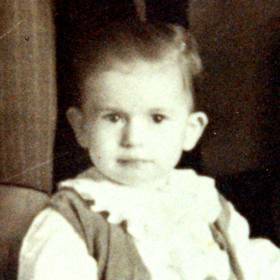 He was born in Argentina, December 18, 1936 the son of R. Roberto and Carmen (Vouilloz) Chenlo. Roberto moved to America in 1968. His creative nature led him to a lifetime passion for artwork, creating fun ice sculptures at many of Grand Rapids Winter Festivals and his monumental “Spirit of Solidarity” stands just a few yards from the Ford Presidential Museum. Roberto is survived by his wife of 51 years, Mirta; his children, Fabian (Jodie) Chenlo, Steve (Carrie) Chenlo, Chris (Kathy) Chenlo, and Colleen Chenlo; and six grandchildren. Also surviving is his sister, Susana Chenlo of Argentina. Friends may visit with his family on Tuesday, May 24th, from 5-8 PM at the Heritage Life Story Funeral Home, Alt Shawmut Hills Chapel, 2120 Lake Michigan Drive NW. Memorials may be made to the American Heart Association. 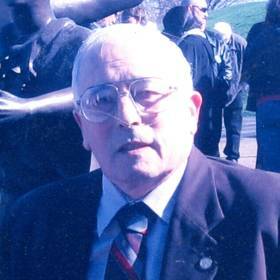 Please visit Roberto's personalized webpage to learn more about his life and leave the family a condolence at www.lifestorynet.com.